Buying a new car in the 1960s must have been fun. Depending on what option boxes you selected, you could have a mild car or a wild car. The Torino is a perfect example of that. 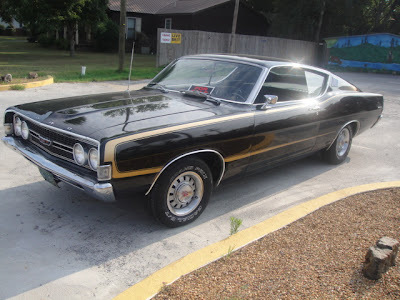 The Torino was an upscale Ford Fairlane. 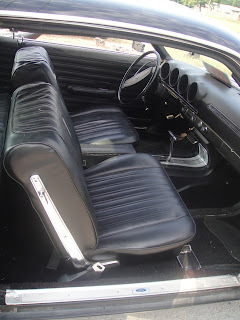 It was available as a 2 door hardtop, a 4 door sedan and as a station wagon. It came standard with a 200ci inline 6. It was a sedate, sane, semi-luxury car. 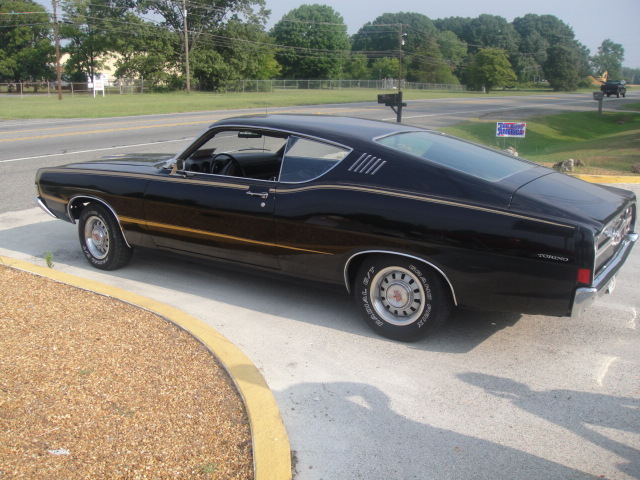 However, if you checked the right boxes, you could get a Torino GT. The Torino GT came standard bucket seats, a center console and special graphics. The standard engine was a 302ci V8 with a 2 barrel carburetor, but there were plenty of other engine options. This car has a 302 with a 4 barrel carb and 4 bolt mains (another option). The seller says this car is one of 500 built this way. The black exterior and gold stripes look great on this car. The black interior is a perfect match for a car like this. The seller says this car is all original. (That's one of those very vague terms that's used a lot when describing a car. Is it all original as in unrestored, or restored to original specs?) It has 111,000 miles on it. It comes with its "original documentation". Located in Calhoun, GA, click here to see the Craigslist ad.